Building and branding a business properly is a challenge few succeed at. From the initial foundation and design to debut and production, there are a multitude of components at play. Thus, when a company finally builds and releases its website online, it can be easy to check that mark off the master plan without giving it a second thought. After all, if the site functions well and looks nice, what else is really necessary beyond the odd product, service, or price update? Akin to the dangers of stagnant water as a breeding ground for parasites and microbes, a stagnant website can become buggy and outdated over time. As life passes over such water in the wild for a fresher source, potential online customers and opportunities might disregard a business in favor of a competitor with a flashier, more contemporary site instead. The superior quality of the products and services offered becomes inconsequential if the website doesn’t offer a good first impression to support this stature. Accordingly, a business may find itself in the unenviable position of becoming irrelevant. The experts at Sukhenko Design provide the solution towards relevancy by partnering with their clients to create dynamic, responsive WordPress layouts to consistently arm them as a force in their respective industries. It is an exhaustive, comprehensive solution that wholly envelopes a business’ online footprint, branding, and reputation. 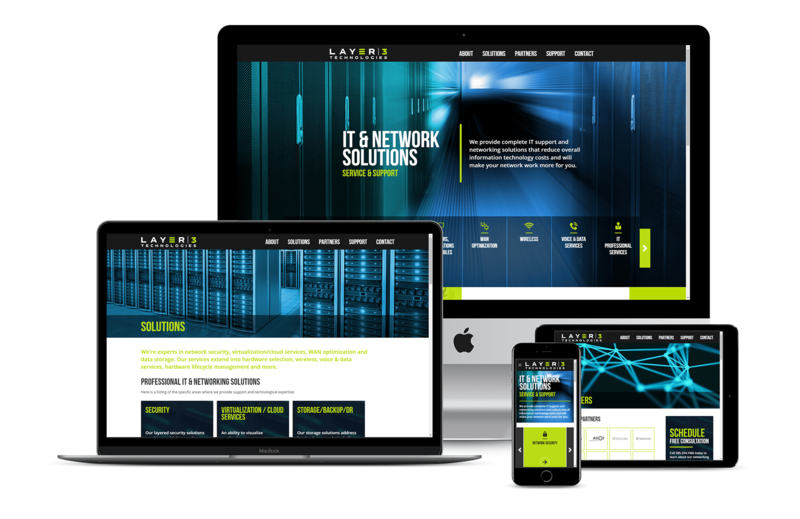 Partnering with Layer 3 Technologies, a Rochester-based IT and networking company, Sukhenko Design endeavored to rejuvenate their online presence to match and showcase their expertise. 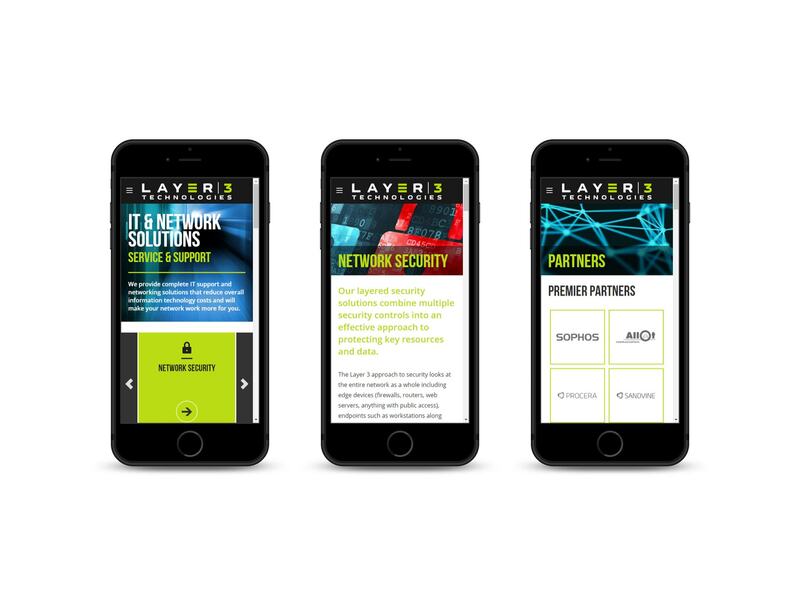 With a new, uniquely crafted website and logo, Layer 3 was provided a fresh foundation to spring forth with a compelling design and call to action. 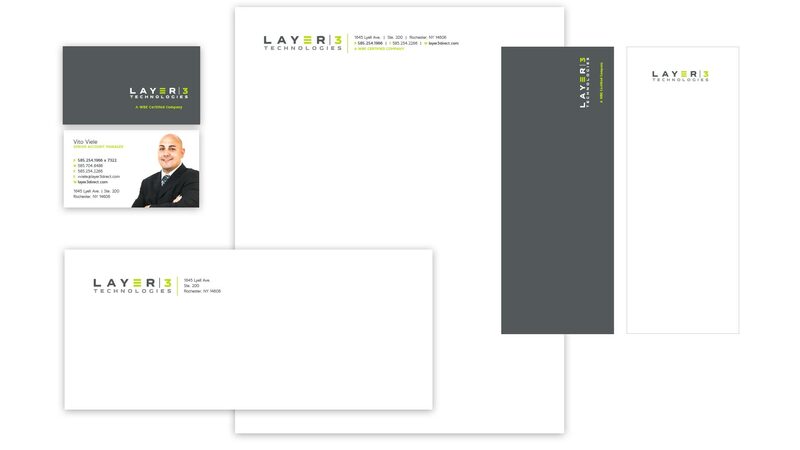 “Working with Sukhenko Design has really helped us reshape our company brand,” states Chris Fenlon, President of Layer 3. “The designs are cutting edge and have helped us change our corporate culture and embrace the future.” The advantage of a dynamic website is more than cool graphics or flash. It can be an inspiration and a driving force in a market. Significantly, it helps maintain a visitor’s attention, keeping the bugs (and competitors) at bay.